Hundreds of Florida Power and Light workers are heading north to help with power restoration as Hurricane Florence gets closer to the U.S. East Coast. Hundreds of Florida Power and Light workers are heading north Tuesday as Hurricane Florence gets closer to the U.S. East Coast. 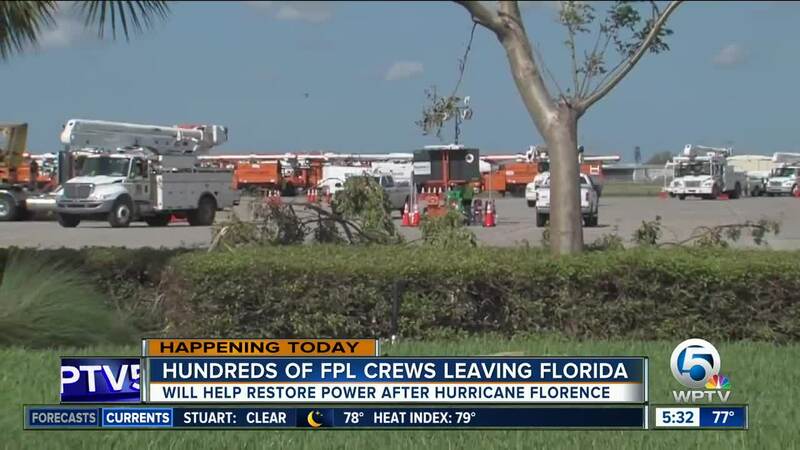 FPL workers will head to the southeastern and mid-Atlantic states ahead of the Category 4 storm to help with anticipated power restoration efforts. More than 500 workers are expected to help in the effort. Crews will leave Tuesday from various locations around the Florida, including the West Palm Beach Turnpike Service Plaza. "We understand the stress that these people are feeling to the north of us, so we almost feel honored. 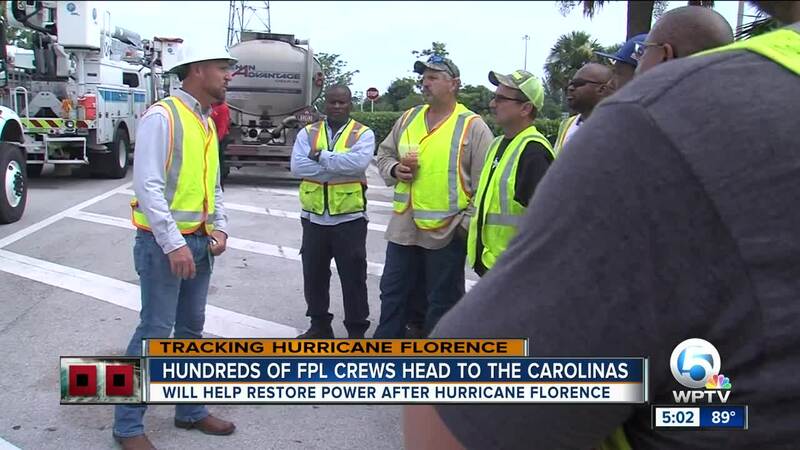 We have that pit in our stomach, but we feel honored to be able to go up and help these people, they’ve come down to help us out on numerous restoration events so we’re returning the favor,” said FPL operations lead Wade Jollimore. About 15 to 17 trucks will be leaving from West Palm Beach. The crews will first head to South Carolina. They’ll stage there until they get deployed to areas for power restoration. 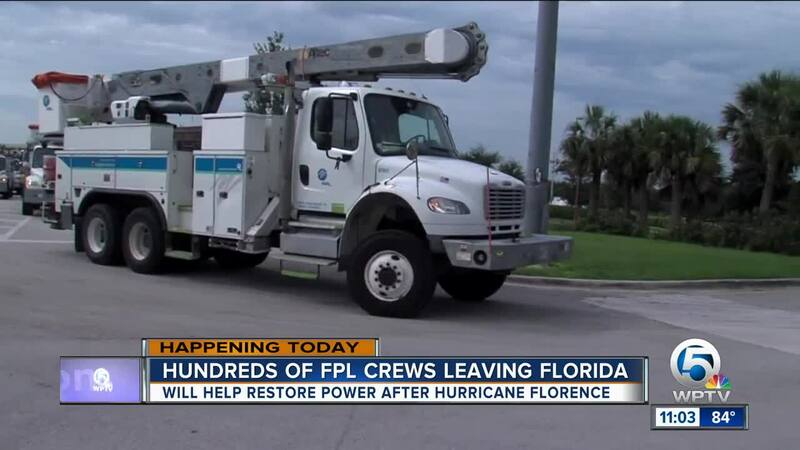 FPL participates in a mutual assistance program with other electric utilities from across the nation. It was this time last year when thousands of utility workers from 30 states and Canada came to Florida after Hurricane Irma and helped restore power to the more than 4.4 million FPL customers.